A recent series of studies found reflective covers to be beneficial for dairy calves housed in calf hutches. Professor Ted Friend, from the department of animal science at Texas A&M University in College Station, studied several reflective films for use in covering calf hutches to reduce heat stress on calves and determined that an inexpensive film is very effective in improving comfort and health. 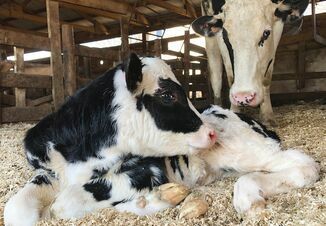 "The only shade available to calves in plastic hutches is from the hutch, and the quality of that shade can be easily improved to help calves cope with hot conditions," Friend said. 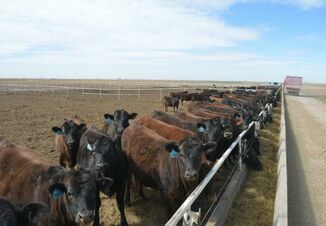 "Also, animal welfare auditors are paying more attention to the quality of shade during hot conditions. Simply placing calf hutches under shade structures creates another set of challenges when the usefulness of direct sunlight for drying bedding and killing pathogens is lost. Calf hutches are used for effectively improving health and growth prior to weaning. Friend's hutch study measured air temperature and radiant heat and evaluated reflective materials. "A simple solution to keep something from heating up in the sun is to make it more reflective so it absorbs less radiation," he said. The first set of trials determined if there were meaningful differences between some reflective materials. An uncovered control hutch was compared with hutches with two types of laminate covers; aluminized low-density polyethylene (Al LDPE) cover; and a reflective paint. Two 24-hour long trials were conducted approximately one week apart on relatively hot and calm days in College Station. Despite the fluctuation in solar radiation, the ambient temperature steadily climbed through the afternoon, Friend said. The three hutches with covers had a very similar pattern. During the hottest two-hour period for both trials, the uncovered and painted hutches were significantly warmer than the three hutches with reflective covers. "For example, at 3:39 p.m. when the hottest temperatures were recorded, the black globe at 3' was 5.6 degrees hotter than the black globe at 1'," Friend said. In conclusion, elevating the backs of hutches did increase ventilation, but that had little influence on radiation coming from the hot surfaces of the hutches. Reflective coatings and paints can help a little, but the paint will also be on the hutch during moderate and cold conditions, which could be counterproductive, he said. "For all practical purposes, the Al LDPE is as effective as laminate material that can cost 10 times as much, and the AI LDPE performs better under farm conditions," Friend said. "The fabrication of the covers and the mounting system has steadily improved over recent years and will be available for purchase this spring as Cool-Calf Covers."